Printers, specifically those for home or office use, are not the first things that come to mind when asked about technologies that we can’t live or function without nowadays. Not when you have paperless digitization, Cloud, artificial intelligence, and virtual reality hot topics to discuss. A device that churns out hardcopy doesn’t get as much attention in the tech world. What’s worse, printing devices are sometimes maligned as being obsolete. Despite the more common, albeit usually unfavorable, notions on printers, shipment data points to a different story, at least in the APeJ (Asia/Pacific excluding Japan) region. According to IDC’s November forecast, the APeJ market size for inkjet and laser single and multi-function printers used in the home and office settings, will reach close to 29 million units or 30 percent of all global shipments by the end of 2018. Compared with 10 years ago, the APeJ market would have increased by just 6.4 million units. The rest of the world (RoW) forecasts are about a 19 million-unit contraction between 2009 and 2018. By 2022, IDC estimates the APeJ market will experience a five-year CAGR growth of two percent versus a three percent decline for the RoW. By that time, the APeJ market size for Printers is estimated to be almost equal to the market size of USA and Western Europe combined. USA and Western Europe will become the second and third largest regions respectively after APeJ. Based on these statistics, we can conclude that printers are still relevant and important in APeJ region despite the increasing digitization push the world over. But why? The year 2010, coming just after the 2008-2009 Global Financial Crisis (GFC), was a pivotal year in APeJ. The region commanded increased attention and investment, as global businesses looked for new growth areas in lieu of softer demand in the western mature markets. With such a favorable climate, 2010 saw a huge growth for printers in APeJ, at 22 percent versus nine percent for RoW. Further, the APeJ printer market has mostly grown year-over-year (YoY) thereafter, while RoW entered a pattern of decline starting in 2011. Overall, APeJ’s printer market growth is driven by the developing markets namely China, India, and South-East Asia. Collectively, these markets represent around 80% of APeJ unit shipments for printers. But while these markets are classified as “developing”, each has their own distinct characteristics that pave the way for the growth of printers, especially in recent years. China, which became the world’s largest laser printer market since overtaking the USA in 2010, has been growing on the back of government support for SMBs and the exponential growth of eTailers or online channels. With government funding, around 10,000 new businesses are reportedly being registered in China daily, consequently creating a stream of new potential end users for any new printer vendor to target and sell to. But its not just business that is buying printers in China. Due to the extreme popularity of eTailers and their attractive pricing and promotions, coupled with the rising purchasing power in China, home users in rural areas as well as in the cities are also buying printers, some for the first time. In the past three years, the China home market turned positive again following years of decline that was popularly attributed to the advent of smartphone usage. Interestingly, the growth of the consumer market continues despite the rising prices of printers being sold into this segment. In India, political changes in the past two years paved the way for a buoyant printer market. Starting with the demonetization at the end of2016, the printer market saw an uptick related to purchases by small print shops and bank branches, especially in the lower tier cities, to accommodate the number of people that opened bank accounts for the first time and needing to present hardcopies of relevant requirements. Last year, the GST implementation led to another wave of printer growth, as businesses are now required to produce a printed invoice and also need to scan documents for online submission to the government. Unlike China and India, South East Asia (ASEAN) has an overwhelmingly high ratio of inkjet printers vs laser. The factors that brought about the growth in this region were largely related to the improvements in inkjet technology, specifically the bulk ink tank printers. Vendors, led by Epson, that first introduced this concept in Indonesia in 2010, were successful in promoting this technology’s low cost of printing value proposition that small offices (1-9 employees) and small businesses (10 to 99 employees) found compelling. Eventually, ink tank printers captured market share away from color laser and entry-level monochrome laser printers too. By end of this year, IDC estimates that the ASEAN ink tank market will reach 2.3 million units—one million more units compared with three years ago— the largest ink tank market in the world. Of course, all the market developments would not be possible if printers did not evolve to meet the increasing demands and changing expectations of end users. Previously, printers were considered to be costly to maintain, plain looking, and not being user friendly. This is hardly the case now, with vendors doing a good job to bring the printers to the future. Affordability has a different face now. Once, you bought a cheap printer but were expected to pay an “arm and leg” for original consumables. Nowadays, there are many options available. Inkjet printers started this trend with the bulk ink tanks that helped Epson to become the no.1 inkjet brand in APeJ starting in 2017. Laser printer vendors have responded with new models that offer to lower the toner cost such as Brother’s B series, HP’s LaserJet Ultra, and Ricoh’s refillable toner models. By allowing the toner box to be a separate component from the drum unit, Brother has created the “on-demand” models that supply the toner powder as required. The separate, easy-to-install toner box lowered the cost for end users. HP also strived to lower the total cost of ownership through its LaserJet Ultra launched in 2017, which bundled three toners along with the hardware. HP claims the LaserJet Ultra series also has up to 68 percent lower cost-per-page than other HP models. The Ricoh re-fillable toner has been in the market for a few years, allowing for easier refilling compared with other vendors where the toner cartridge is removed, cleaned and professionally refilled. Printers have also come a long way when it comes to added functionality. While fast printing speed is still deemed important, end users are also expecting their printers to have mobile printing capability. For commercial users, especially in mature markets like Australia, Hong Kong, Korea and Singapore, cloud connectivity is also becoming a necessity. In Australia, where scan volume has overtaken print volume, scan speed is also something that is being highlighted as a key feature requirement. Newer printer models are becoming smaller and more colorful as vendors strive to meet the discerning tastes of millennials. Recently, HP launched a limited edition printer with speakers for home users. It will only be a matter of time before we see voice-activated printers as well. Admittedly, structural changes in the printer market will make the next few years interesting for end users, but challenging for vendors if they missed the boat on reinvention. As mentioned, growth is expected towards 2021 in APeJ printer market, albeit slower than in the past 10 years. In mature markets, hardware is already commoditized and the next opportunity for print vendors will be around document solutions and services. 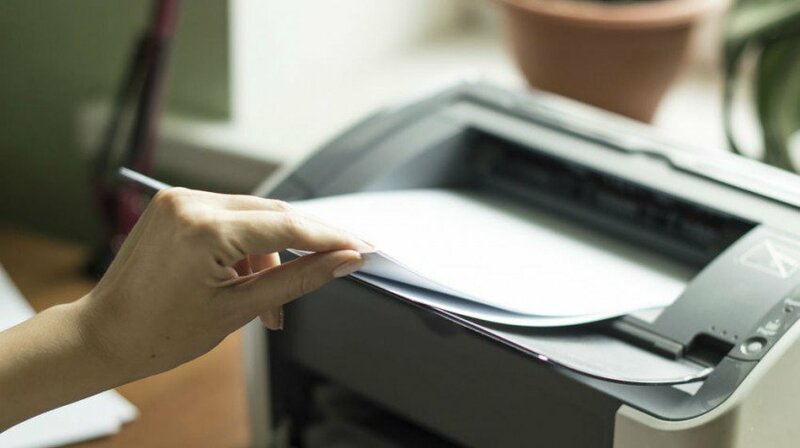 While developing markets still see opportunities for management of print fleet through Managed Print Services or MPS, enterprise users in mature markets have already started to look for simpler print contracts, where they pay for only what they print, and not even paying for the printer itself. This practice is expected to trickle down to SMBs and maybe even see developing markets leapfrog to this stage. In fact, IDC predicts that globally, 20 percent of small companies will have adopted customized pay-per-use print contracts by 2020. In developing markets, IDC still expects the printer-installed base to continue growing towards 2022 but total pages will start to drop in 2021.This means end users may still buy printers, but will no longer print as much as before per device. China, for example, will turn into the largest e-tax, digital-based country in two to three years’ time. As such, it’s important for print vendors to recognize the changing landscape of print and reinvent to adapt with the market changes.